LIA'S HANDMADES is swapping totes! Lia's Handmades Blog is sponsoring a TOTE BAG SWAP!!! It all begins TOMORROW May 1st! Here's a fun tote I made for a flamingo lover! Totes are easy to make and we can always use another one! Jump on over to Lia's site to see all the swap guidelines, timeline and fun she has lined up for participants. Hey, maybe you and I will be secret "tote bag" pals! I've been having some great Kwilty Pleasures since retiring! using my new COMMA fabric. Just gotta trim them up. Will finish the top at a May quilt retreat in Amish country. What are you drooling over? that is being revitalized and the shop itself is sew cute. Click here to visit the Crimson Tate website. 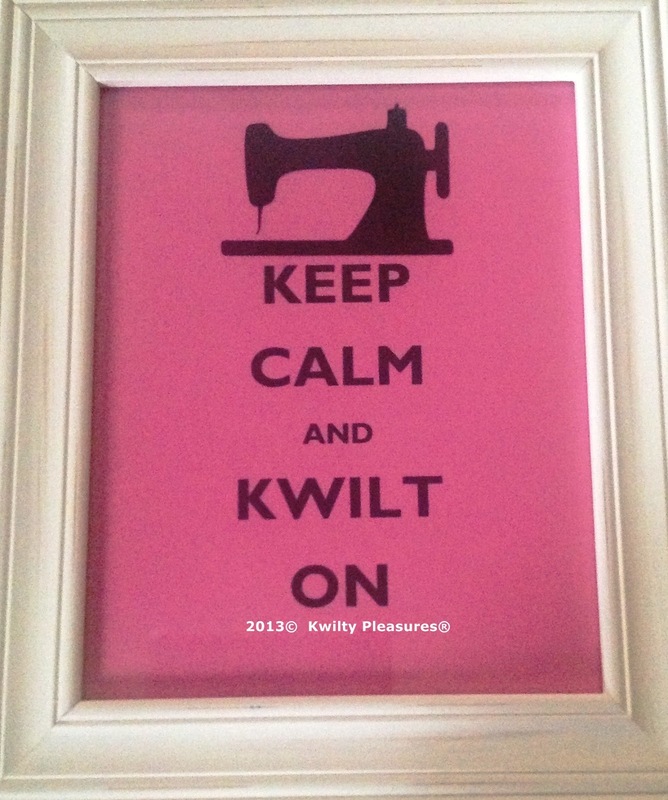 Owner, Heather Givens, is excited to see you and wants to know all about your quilting passion! With a smile like this...you know you are in a very friendly place! Just loved this old library catalog stand being used to hold FQs. Heather has a flair for the unexpected. As in...just look at the piece of fencing holding patterns and the suitcase filled with FQs. Every nook and cranny is filled with fun surprises. More fabulous "modern" fabrics and "antique" displays! would take me on a road to Crimson Tate! 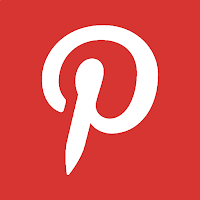 Thanks to Sew We Quilt...I am a blog hop junkie! but I love give aways...winning AND giving! I gave away some pieces of vinyl "SOAKED" fabric. The random generator winner is comment #131 and Laura has provided her mailing address! Congrats Laura! Love the fabric you chose for this mugrug. My favorite springtime activity is watching the lake thaw and getting my kayak down to the lake to watch the loons. A huge thanks to all 181 of you who left me a comment. Your comments are the best prizes of all! I was thrilled when my SOAKED mug rug made Top 2 for the day. Look for my projects in the following hops! 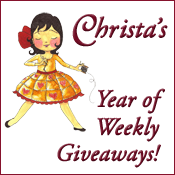 Christa Quilts Blog...for GREAT weekly giveaways! Here is what Christa is giving away NOW thru 4/24! began in 2005 and is a group of volunteers who make lap quilts for cancer patients. Now be warned...it's not your typical group who might get together once in a while to make a Charity quilt. NOPE, JSS has hundreds of volunteers working continuously throughout the year to provide "Quilts of Comfort" to patients undergoing treatments for breast, ovarian and lung cancer as well as providing baby quilts for radiation kids at Children's' Hospital. We recently held the 9th Annual Quilt Day. of thanks for the continued support of this effort! and share in an inspirational day of quilt making. And just look at all the DONATIONS for participants. Everyone wins!!! and wins again!!! 1300 completed quilts were turned in for 2012! 1 out of every 20 completed quilts (quilter) is eligible for 10 yards of fabric AND this year there were two Baby Lock Sewing Machines donated as grand prizes. My friend Pat (who sadly couldn't attend the event this year) was a still a contest winner...10 yards of fabric and although she didn't win the machine, she took home these rainbow fat quarters! Lunch was free to all participants and served by the girl scouts. and of course ironing and cutting tables. Here are a few pics of my sewing group for the day. Yep, even husbands can come help out...he made sure we never ran out of drinks or treats! And here are some of the tops we finished! and I leave you with a smile on my face because I am so proud to be a part of the James Stitching Sisters and "pay it forward" with loving stitches. If you live in OHIO or near Columbus, you can be a part of this wonderful group of volunteers. Many cities have guilds who come to the JSS Sewing Center to pick up kits and quilts ready for quilting, take them home to finish and return for entries in the contest! The Sewing Center Calendar and all information about this group is on the JSS web site. A "muggy" April Showers blog hop and GIVEAWAY! This contest is closed. Congrats to Lauralucsloons and Quilting to. Random #131 who was the winner of the vinyl fabrics. Thanks to all for leaving me such nice comments! MAKING A SPLASH! 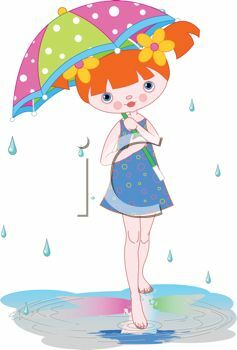 Mdm Samm is always causing us to "puddle" with her fun hops and Erin over at "Sew at Home Mummy" has that huge "umbrella" open for us all as she cheers us on! Quilt As You Go Mug Rug....from scraps! Great for any season or reason. Have they given up the plants for my Bailey's and Coffee? I used scraps from the Connecting Threads "SOAKED" line. Center fabric in the mug rug is causing a big splash! Add some clouds, rain and lightning for the showers! And some wild and crazy BOOTS for the back! 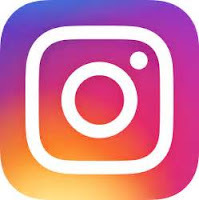 Yep, it is give away time! and tell me what is your favorite spring time activity. All rolled up and ready for your creativity! Wouldn't they make cute "waterproof" pouches? You don't have to be a follower to enter the contest but you would bring sunshine to my day if you do! Contest is open to ALL and closes last day of the hop! A retirement gift for my new office! OH HAPPY DAY! ! ! MAY WE LIVE HAPPILY EVER TOGETHER RETIRED ! ! !